Thank you for supporting Plano’s 43rd Annual Vision Care Benefit. Remember Plano in your End of the Year Giving. Donate to Plano when you purchase on Amazon thru Amazon Smiles https://smile.amazon.com ). Remember to include Plano in your Employee Matching Fund Donations. Plano is a not-for profit tax- exempt organization under section 501 (c)(3). Most people are born with the potential for good eyesight. However, vision -- the ability to identify, process, and understand what is seen -- is learned and developed, beginning at birth. The Plano program is based on behavioral optometry, which entails the total vision information processing system and its relationship to learning and development. When problems are identified that relate to vision development, the cause may not necessarily be related to eyesight. Plano was established in 1959 by Dr. Robert L. Johnson (deceased) and Dr. Henry R. Moore (deceased) as a multi-discipline, not-for-profit optometric service organization and chartered in 1965 as Plano Child Development Center. Plano became a not-for-profit organization [501(c)3] in 1976. Plano's mission is to identify, evaluate and treat economically disadvantaged children who have under-developed and/or inefficient vision information processing systems. Plano is unique in the Midwest, in that it offers the community, particularly the central city, a wide array of services heretofore unavailable. 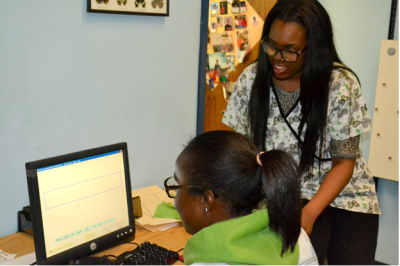 Plano is the only not-for-profit African American service provider offering comprehensive vision therapy treatment intervention to patients in the Chicagoland area. 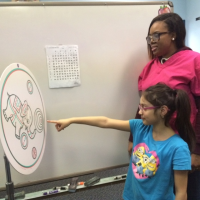 Dr. Stephanie explains how PLANO vision center is helping kids with functional vision issues. She also talks about the relationship between vision abilities and education. 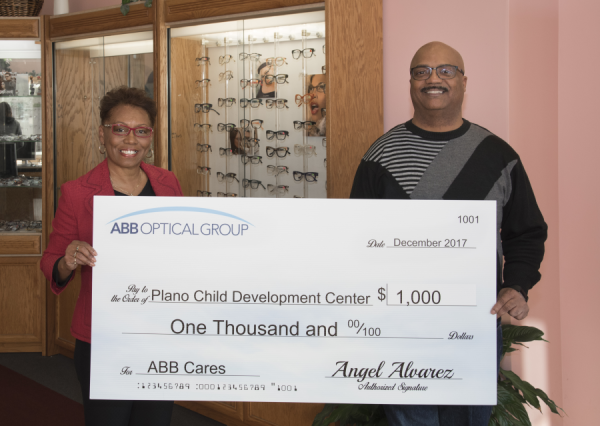 "Plano Child Development Center Recieves $1000.00 Grant from ABB Optical Group​​"
Click Here To View Award Letter! Plano's mission is to effectively identify and evaluate those educationally disadvantaged youth with underdeveloped and/or inefficient visual processing systems. Additionally, through Vision Therapy Programs, the mission is to remediate those visual problems. I, Mrs. Guerrero parent of Celeste Buitron am very happy that my eight (8) year old daughter has progressed well in her vision therapy program these first four (4) months that she has come to Plano. She went a level up in reading and her teacher has also seen good results in reading. I hadn’t heard of vision therapy until Celeste was referred to Plano by Tropical Optical’s Mobile Vision Program. If they hadn’t, she would be struggling with her reading, writing, and math. I personally would recommend Plano.